392 pages | 14 Color Illus. Outdoor Recreation: An Introduction provides students following courses in outdoor recreation, leisure and environmental studies with a comprehensive and informative overview of this broad and fascinating field. contemporary issues in, and the future of, outdoor recreation. Student learning is supported throughout the book with helpful features such as learning objectives, case studies, weblinks, chapter summaries, study questions, and definitions of key terms. 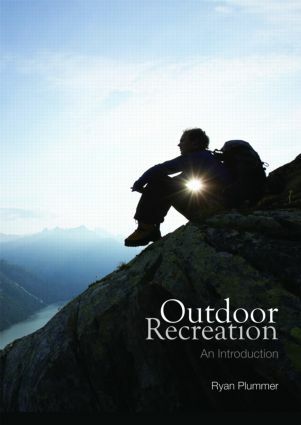 Representing a definitive guide to an important and rapidly growing field, this book is essential reading for all students of outdoor recreation, leisure management, tourism and environmental studies, and will be an important resource for all professionals working in outdoor recreation and leisure.